Approved by Securities and Futures Commission of Hong Kong （SFC）, the company provides brokerage services for various products including global securities, futures and other financial products. 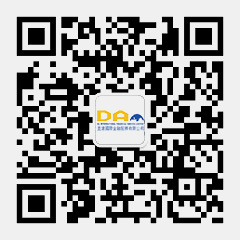 DA INTERNATIONAL FINANCIAL SERVICE LIMITED was established in and is in Hong Kong. 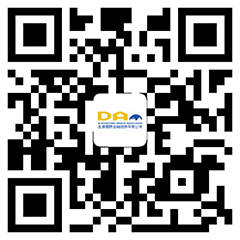 By virtue of core competencies due to its competitive technological advances, DA has rapidly grown into a leading foreign futures brokerage company in the Asia Pacific Area, with customer margin deposits over 300 million USD. DA was approved by SFC to carry brokerage services of global securities in 2016. Since then, the company has accelerated its international expansion by establishing wholly owned subsidiaries in the U.S.A and Singapore. and clearing services, fuels our foreign market growth. This infrastructure facilitates financial liquidity in the global market. “ Direct the Straight Path ” quotes from “ Confucian Analects—Wei Ling Kung ” as Confucian said that “ This people supplied the ground why the three dynasties pursued the path of straightforwardness ”. It indicates DA’s basic values of simplicity, integrity and purity. “ Access for the World ” quotes from “ Mencius—Jin Xin ” , which indicates the goal realization of “ Benefit Clients, Benefit Employees, Benefit Shareholders, Benefit Community ” by virtue of advanced technology and superior services. To build a cross-border financial highway for global investors. Due to the rapid internationalization of change currency, the demand for global reallocation of Chinese investor’s assets has accelerated. Based in Hong Kong, DA is poised to assist global clients invest directly in China’s securities market offering various products such as securities futures, foreign exchange, bonds and private equity, DA aims to create a cross-border financial highway. To become a highly respected global financial group company. DA's ultimate objective is to create value for clients, to create pride for the employees, to take responsibilities, and to contribute to the community. we gain respect from clients, employees, shareholders and the community.